Composed by Wayne Roberts, this controversial one off documentary examines the right to bear arms in central America. 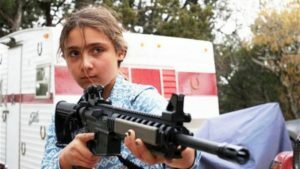 Some American parents consider teaching children to shoot a fun family experience. But more than 3000 children are accidentally shot each year. This documentary explores the world of child shooters.